August was my best month overall, traffic-wise. Note, however, that all that traffic was concentrated in the first half of the month. Those poor, sad, second-half days. A single post–one from pretty deep in the archives, too–is the culprit. Feminist Friday: The Problem With The Manic Pixie Dream Girl started blowing up. It may or may not be a coincidence that July 31, my first high-traffic day, was my day for the most recent Feminist Friday run. I posted Feminist Friday: Why Are Women’s Colleges Disappearing? and it got 182 views out of the day’s 450. 10 of those 450 were for the Manic Pixie Dream Girl post, which I hardly even noticed because related posts, you know? Then on August 1, I sat idly by as the MPDG post exploded, presumably shared by someone with a massive Facebook following. It got 482 views out of a total 615 on that day. 426 of those referrals came from FB. On August 2, it got 453 views out of a total 625. 364 of those referrals came from FB. On August 3, it got 171 views out of a total 242. 104 of those referrals came from FB. During those three days, I got ahold of my bloggy/social media friends and explained the trend, wondering if there was a way to tell where on Facebook the traffic was coming from. The short answer is no, and I thought the traffic was beginning to slow, but Robin sent a link to StumbleUpon and apparently it was a hit there, too. 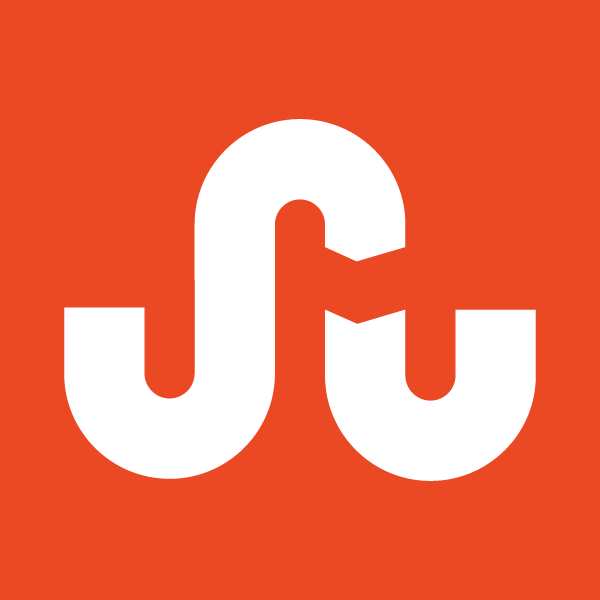 My StumbleUpon referrals went from 23 to 55 to 132 to 321 in the next four days, and that’s not counting a corporate SU account that was responsible for hundreds more hits. The traffic remained high for about a week longer before dying down. The MPDG post got over 3900 views in August alone. It has five times more views than my About page, which is not an easy feat. Yet this stats peak doesn’t excite me. As a blogger, I love seeing that people are reading my work. But I care more that they’re enjoying and engaging with my work. I’d rather have 100 people read and comment or 10 people choose to follow me than 1000 people just read. Fly-by views don’t interest me–I want an active audience that cares and will stick around for more. And I’m pretty lucky, because I already have a super-awesome audience that does engage and sticks around for more. Those poor, sad, second-half days are actually the best days. They’re not about the numbers, they’re about the people. Thanks for being one of those people. I used to care a lot about likes and followers, but not any more since I figured out that “Like Spamming” is a thing (http://sweattearsanddigitalink.com/2012/07/10/like-spamming/) and that WordPress actively encourages fake followers. Like you, I’d rather have meaningful visits from people who bother to comment. These days, nearly all of my posts get comments. I get between 1500 and 2000 hits every month which I think is pretty good for a book/writing blogger, but this summer it has dropped off a little. Hoping to recover in the next few months because to me, more hits increases my potential for book sales. Well done to you though, to be going for about two years and persistently getting over 2000 every month is very good. Summer always gets a bit slower traffic–people are out in the sun and traveling and such, as they should be! My overall stats are 6k! Awesome, you did a great job at this. I understand what you mean. It has happened to me in the past month too, lots of people coming for an interview I was hosting, but not one left a sign. Only my usual followers commented. True, you never do know! I’m with you.. the number spikes are pretty cool, but actual engagement is the best! I just hate how the huge spikes make my usual traffic look PUNY. Yeah.. I have to remind myself there was spike..
You said it well! !its not about stats but the people you engage with! Way to go! Also, do you use Google Analytics? I know you can set up some parameters that can make it easier to see where traffic comes from. Still, social tracking is a bit of a mystery…so there’s no perfect solution for tracking that unfortunately. I just use the free WP.com stats, which give a fair amount of info but not the whole picture. Gotcha. That’s what I do, too, for my blog but I use Google Analytics at work and they’re pretty advanced. They’re free, too. If you ever decide you want more info.